This issue of Indie Rock Magazine is full of exclusive interviews. 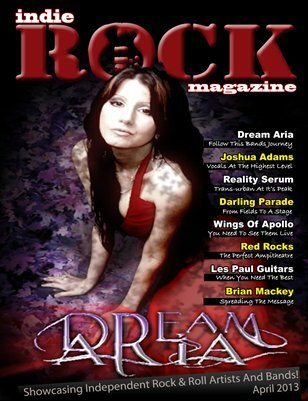 Included are Dream Aria, Joshua Adams, Reality Serum, Darling Parade, Wings Of Apollo, and Brian Mackey. We also have our take on Les Paul Guitars and the Red Rock Ampitheatre.